Get ready for MARVEL NOW! With this life size standup of the All Captain America! 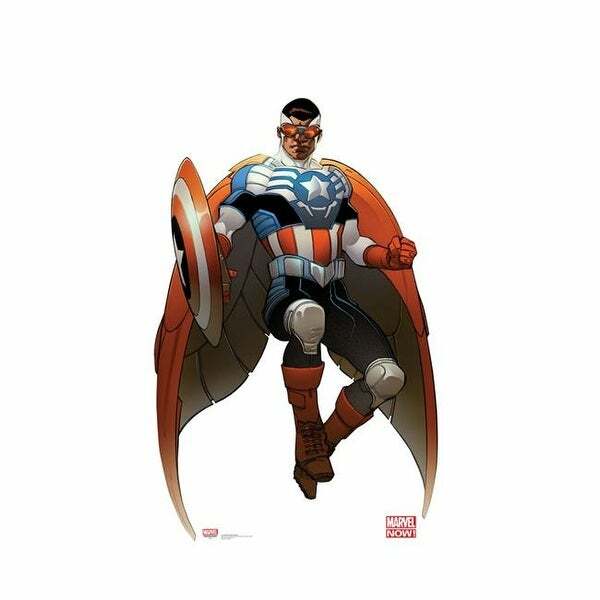 After Steve Rogers is aged into an old man, he appoints Sam Wilson, aka Falcon, as his replacement as Captain America! Wilson also brings the added ability of flight and a more modern tactical approach to battling the forces of evil. Size: 70" x 44". Size: 70 x 44 in.